The first of eight live races from Newmarket on the Rowley Mile is Division 1 of the EBF Fillies’ Novices Stakes. Firebird Song who is unraced, does has an eyecatching pedigree that cannot be taken for granted. First foal out of Policoro - who was a French 1m3f winner. She is from a powerful stable, and requires a close look on debut. Division 1 of the EBF Fillies’ Novices Stakes is followed by Division 2, and Jadeerah is another who we are considering entirely on pedigree. Yard has had another incredible season, and has plenty of smart juveniles. Jadeerah is a daughter of Frankel, and is very much one to note. 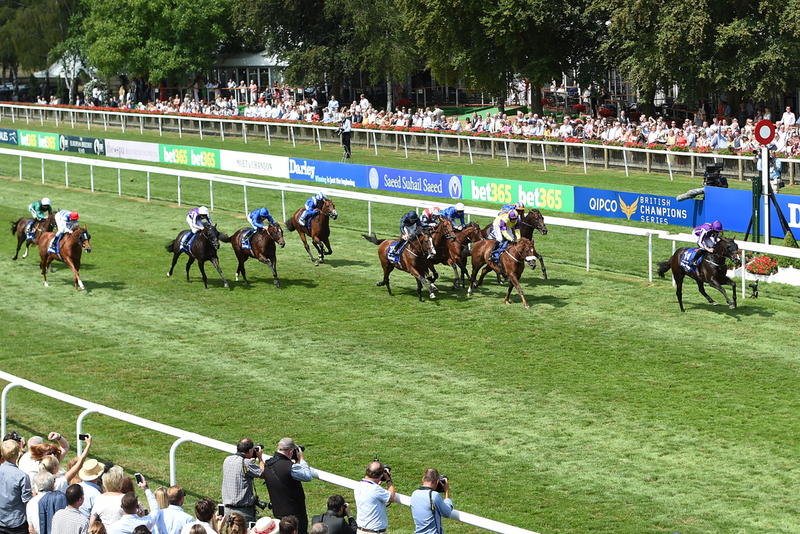 Aspire Tower - who was a beaten favourite last time at Windsor, can get off the mark at the fifth time of asking in the Tuckergardner Lettings Nursery Handicap. He has proved himself over a mile on soft ground with some fine efforts, and has shaped as though the extra furlong will suit. Next up, is the Quy Mill Hotel Handicap, and Beverley Bullet holds strong claims having won four of his nine starts on soft or heavy, including his latest run at Redcar. Has the ever-reliable Jason Watson aboard and should relish the conditions on the Rowley Mile. Mannaal can make it two out of two in the EBF Montrose Fillies’ Stakes, a listed contest over a mile. Simon Crisford’s 2yo filly - who is out of Dubawi, scored with a bit in hand when winning on debut at Nottingham. She could prove here that she is potentially very useful with her 3yo campaign looming. Collide continues to climb the weights and the classes, and now jumps into listed company for the first time. This is the Weatherbys General Stud Book James Seymour Stakes, and being a son of Frankel - it’s no surprise to see that he has a pinch of class about him. Scored by five lengths at Nottingham most recent, has battled through soft and heavy ground, and has that man Jason Watson aboard. All adds up. The penultimate race is another listed contest, back down to 1m, the Price Bailey Ben Marshall Stakes. Muntadab holds strong appeal, being a triple seven-furlong winner this autumn. In really good form, has proved he can handle the tough course contours at Newmarket in the past, and the extra furlong shouldn’t be an issue. Roller can take the finale - the TuckerGardner Residential Sales Handicap, for Michael Easterby and Rob Hornby. He is now 6lb lower than when finishing sixth in a much higher grade here back in April. With that information, he must be well respected and considered for a return to success here.